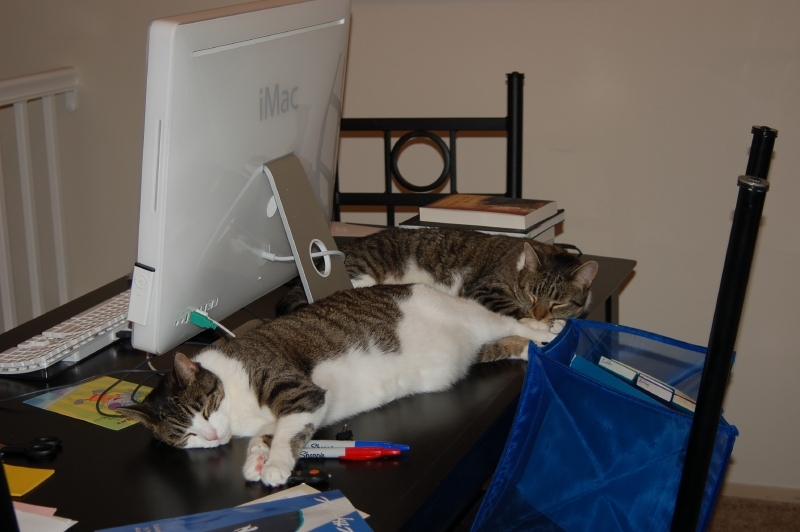 As the boys settle in to their new (temporary) home, they are discovering that it does have certain advantages. For instance, there's more space between the back of my computer and the edge of the table, making it much easier for the management team to supervise. How well are the boys adjusting? The photo yawns for itself.